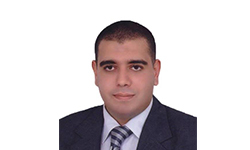 Nadim obtained his LLB from Alexandria University – Faculty of Law in 2006. He joined the firm in 2015 specialising in contractual matters. In his litigation practice, Nadim has handled many cases that have yielded successful results for some of our most valuable multinational clients in Egypt. Nadim is a member of the Egyptian Bar Association.